This page contains a brief description of how allotments sites are managed; please scroll down for downloads to support allotment managers. The Association for Public Sector Excellence (APSE) offer allotments management training for local authority employees. The next APSE training sessions are in Ashford 6 March 2019 and Manchester on 22 May Click here for details. The county associations of local councils also offer allotments management training, in some case in partnership with ourselves. There is a session coming up on 6 March in Ipswich Click Here for details. Sessions are also planned in Oxfordshire on 15 May and Buckinghamshire 21 May. Allotment sites are managed in a variety of ways; on some sites the plot-holders rent direct from the council or landowner such as a farmer, on others there will be an association that manages the site - this is known as self or devolved management. This is the practice of devolving a share of the responsibility for managing allotment sites to the allotment gardeners themselves. The gardeners are usually organised as a constituted association with an elected committee; NAS have template Constitutions that are available for members. However, when taking on long leases and self management agreements many associations become incorporated, and become a Limited Company to gain limited liability status via a number of options. The National Allotment Society acts as a sponsor and offers its members model rules that greatly reduce the cost of incorporation as an Industrial and Providential Society. For further advice and to discuss your own Allotment Association’s situation please speak to the NAS Legal Advisor by calling 01536 266576. An association on your site can bring many benefits; working together can help you to raise funds for site improvements, support development and help to sustain the future of the site. Membership of the National Allotment Society gives the association access to affordable Public Liability insurance for your site and other benefits such as cheaper seeds - click on this link for details join us. An association is also necessary if your site is to take on self- management and as NAS members you would have access to our Legal Advisor; who can assist in the preparation of a range of tenancy agreements and give advice on agreements that associations enter into with Councils or Private Landlords. Also, members can obtain initial advice on a wide range of topics including, allotment legislation health and safety, environmental issues, contractual problems, data protection, governance and disputes, along with assistance if your site becomes under threat of disposal. The essential requirements are a Constitution and set of rules, the formation of a Committee with a Chair, Secretary and Treasurer and lots of committed members willing to get involved. You will need to hold regular meetings and your responsibilities will vary depending on whether you are direct let or self- managed and the level of self- management. Our Legal Advisor, Regional Representatives and Allotment Mentors can all give advice on how to form and run an association. An allotment site has the potential to be a vibrant, well run, democratic community that contributes to the health and well-being of the whole neighbourhood. Managing allotments can be challenging, they are the only leisure activity with their own legislation and inspire strong feelings in the people lucky enough to rent one; click on the titles below to download guidance documents. These documents have not been updated for some time but most of the advice is still relevant. Growing in the Community - This guide is designed to assist those responsible for managing allotments, either within local authorities or under schemes for devolved management, to work efficiently and effectively by emulating examples of good practice. 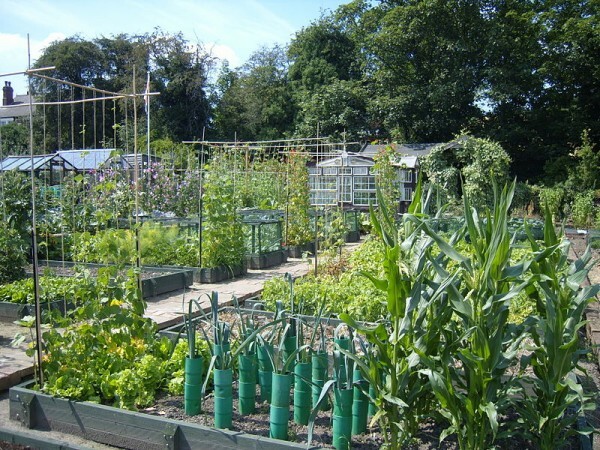 A Place to Grow - This document should be read in conjunction with the document above; it provides good practice guidance on how to make the most of existing allotment sites through good management of allotment portfolios.